Are you looking for one of those good backpacks, which will also fit your budget in the best possible way? 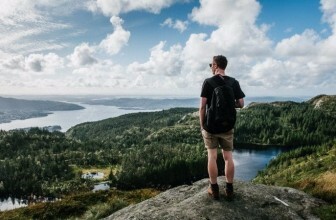 With many hiking backpacks hitting the market these days, and that too of many different makes, it can be fairly difficult for one to pick the right one for use. All of these can be really confusing for buyer, so a list of all good and reliable backpacks that costs less than an affordable $150 doesn’t seem to be a bad thing. Going through the list you can decide and make up your mind, keeping a tab on the features and price you want. This is perhaps one that comes at a very low price. It is perfect for people who seek a cheap, and yet good backpack to start off with. It is made of 600d polyester, and is available in a number of colors. The design of the bag is also top notch. It is medium sized and has side pockets. The presence of side straps keeps you stuff in place and they will not fall out. The waist strap is also adjustable and fits perfectly. In general, the bag can be obtained for about as low as $30, which happens to be a very good, considering what it has to offer. This one happens to be a good backpack for hikers. In fact, you can literally pack a whole lot of stuff into it. The capacity of the bag is around 3,400 cubic inches or 55 liters. The internal frame of the backpack is very compact in nature. 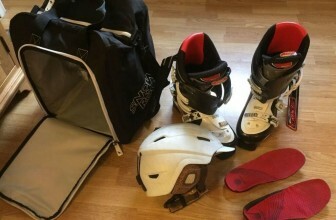 It also boasts of two aluminum stays with contoured shoulder, waist pads and lumbar. The shoulder straps in the product are height adjustable and therefore support a wide range of torso lengths. Besides the main compartment, there is also a separate compartment for the sleeping bag and zippered side pockets. 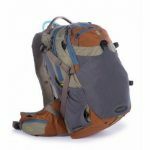 This backpack is also compatible with all hydration systems and has a rain fly. The back costs around $67, and is definitely great value for money. This is another very reliable product from the house of Teton. It is lightly a level higher than the Scout 3400. It boasts of a higher capacity, i.e. 4,000 cubic inches, or 65 liters. Besides, that it basically has more or less the same features as the Scout 3400. It has a separate air flow control system, and comes with a rain fly as well. This one is roughly priced at around $90, and happens to be a good pick for those who want a fairly bigger size than the Scout 3400. This product is one of the most popular products in the lineup. 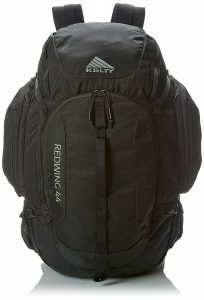 It is a very compact and yet a very good backpack for those who like to simplify things. The Redwing has a capacity of 44 liters and comes with a light beam fixed suspension system. It comes with a number of pockets that make carrying different categories of stuff all the more easy. It is specially designed to keep the load off your shoulders, with the single stay aluminum light beam doing the job for you. This also has an air flow system to keep you cool. It is made of 420D polyester. This backpack comes from a manufacturer that has been in the industry for 25 years. The capacity of the bag is 65 liters. The main compartment has a gusseted drawstring closure and a top lid that is adjustable. It has padded handles on both sides for easy carrying. There’s a hinged pocket in the front, a removable media pocket, mesh pockets to hold water, etc. The side and bottom straps are well adjustable. The presence of a rain cover at the bottom is also something that one will find very useful. The shoulder strap is S – shaped and had load lifters. Besides, it also fits well to the torso. The Titan 55 can be said to be the slightly lower sized version of the Titan 65. It boasts of a capacity of 55 liters, and has basically the same features as the Titan 65. 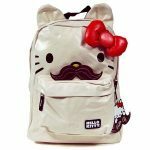 Therefore, people who require a backpack of slightly lesser size can opt for this one. 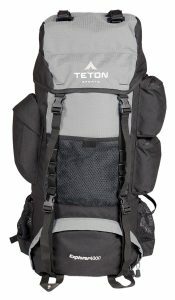 This is another product from Teton Sports and is an all round adventure backpack for all types. It is 2100 cubic inches in volume and can be well loaded with a variety of items. 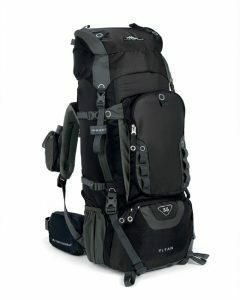 It has an internal 10 liter compartment for a sleeping bag, and also a 20 liter dry bag with carry handle. There are front and side compression straps that can hold things tight when you are running or jumping for the matter. In case you just happen to submerge your pack, the presence of four drip holes makes the water drain faster. 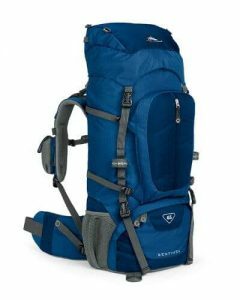 This backpack comes at a price of $80, and can be said to be a very good option for those active adventure seekers. 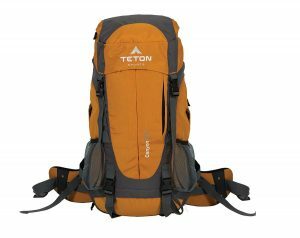 This 65 liter backpack is also a preferable option for those who seek for the features of the Titan line of backpacks, but at a slightly cheaper price. The material of manufacture for this bag is Duraweave and Duralite. The presence of dual aluminum contoured frame bars makes it adjustable, thereby ensuring that it fits your back. The front pocket can be used to hold ropes and also soft lashing hardware can hole hiking poles easily. The bag also comes at a lifetime warranty for any manufacturing defects that might come up. The bag is available for sale at around $80. This 90 liter giant can a take huge amount of load. The material of the bag is nylon and is supported by an aluminum frame. The top lid is adjustable and has lash points that can be used to hold extra gear. The sleeping bag compartment is at the bottom and is separated by a zippered divider from the compartment meant for holding clothes and other gear. The presence of a large from pocket also helps in keeping quite a few things. 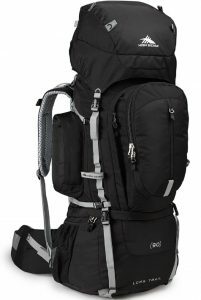 The main advantage of this backpack is that it is possible for one to pack a huge number of things into it. It is also well adjustable to different torso, and therefore fits well. 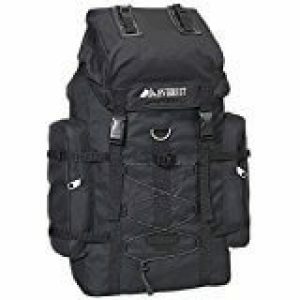 This backpack is priced at around $80, and can be said to be huge bargain when compared to a number of other backpacks in a similar price range. 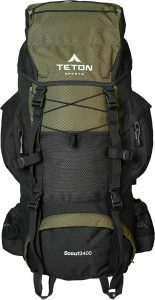 This 43 liter backpack is wonderful for those people who generally like to travel light. It is basically based on the Redwing model, which has also been very popular among people for a long time. The fabric used to make the backpack is 450D polyester. It has separate compartments for shoes, clothes etc. There are necessary pockets that that can be useful for carrying your electronic gadgets, like tablets, laptops etc. These also feature pads for better protection. The Flyway comes with an aluminum single light beam stay that tends to take the load off your shoulders and thus ensuring comfort. The back panel has an air flow system in place to keep you cool. Finally, the presence of different straps like hip belt, load lifters, sternum straps etc. keep the load balanced and therefore makes it easy to carry. One can get the Flyway for by roughly shelling out $108. 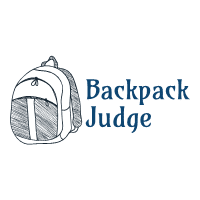 These backpacks which have been mentioned will generally meet all the basic criteria that one requires to check before buying a backpack in general. In fact, many of these also out do the very basic features which are necessary for buying them. They come with many additional features that happen to be very useful to customers. Besides, these backpacks are also designed very well and look like a great accessory to have around. 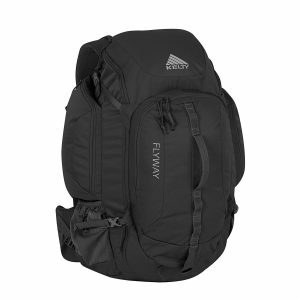 The backpacks mentioned above have a much lesser price than even the upper limit of $150 as mentioned. In fact, they come at even below $110. 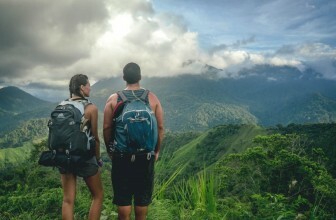 These backpacks not only come from very reputed names in the industry, but happen to also be very affordable for common people. Also when one looks to compare the kind of features that offer and the price, it all seems like a huge bargain. Above all, they are also very well rated among previous buyers and have that goodwill among customers. 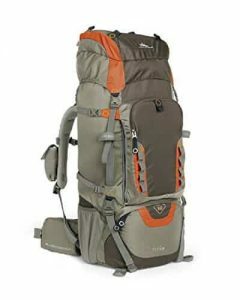 Therefore, with this guide you can perhaps go ahead and make the right choice in picking the right backpack that will suit all your needs well. Happy backpacking!